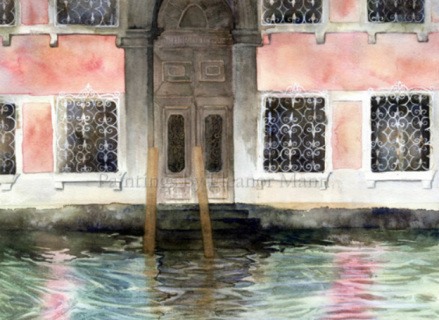 The Original watercolour painting is currently for sale. Palazzo Fontana Rezzonico along the Grand Canal. Windows of Venice, a watercolour painting, is for sale. Limited Edition Prints are available and come in standard sizes starting at £25 (plus PP) for one that fits a 10x12" frame.